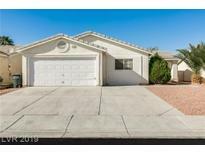 Below you can view all the homes for sale in the Northfork subdivision located in North Las Vegas Nevada. Listings in Northfork are updated daily from data we receive from the Las Vegas multiple listing service. To learn more about any of these homes or to receive custom notifications when a new property is listed for sale in Northfork, give us a call at 702-323-5963. !New re-plastered pool w/new pumps,beautiful new tile and staining/painting of pool features makes this backyard look NEW and to be enjoyed for years. MLS#2082308. Orange Realty Group LLC. Master bathroom was just completely re done and has never been used. 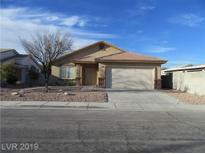 MLS#2082890. Costello Realty & Mgmt. Home Features, New Exterior Paint, New Interior Paint, New Sliding Glass Door, New Landscaping, New Bath Tub In Master Bath, New Hardware In Bathrooms, New Granite In Bathrooms & Laundry Room, Led Lights Under Cabinets, Led Lights Through House, Smart Locks, Refinished Cabinets, Covered Patio, Stainless Steel Appliances, & Upgraded Washer & Dryer. This Is An Excellent Value!! ! MLS#2075318. Elite Realty. PRICED TO SELL and MOVE IN READY! ! MLS#2064622. Maxim Properties. You won't want to miss this home, come see today! 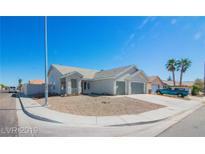 MLS#2058285. Maxim Properties.